Exploring the pristine wilderness of Svalbard does not necessarily mean you have to cook dinner on your portable stove and spend the night on a sleeping mat. After immersing in the Arctic wilderness and maybe catching a glimpse of a polar bear, you can enjoy relaxed luxury at the 78th parallel. The newly renovated Radisson Blu Polar Hotel Spitsbergen in Longyearbyen offers premium accommodation and laidback gourmet dinners – all while still wearing your snowmobile gear if you feel like it. - We aim to merge unique and sustainable nature adventures with informal high-end hotel experiences. At the new Polar Hotel, you kick off your shoes before entering the restaurant and you’re more than welcome to wear your hiking clothes while enjoying your full-course dinner, says SVP Destinations in Hurtigruten, Thomas Westergaard. The iconic hotel is a premium quality platform for experiencing what is probably the most unique destination of the Arctic. It recently re-opened after three months of multi-million renovation. The make-over includes 95 rooms, conference and meeting rooms, a lobby with fireplace, sauna and outdoor jacuzzi, a pub, and the fine dining restaurant. The hotel restaurant, Restaurant Nansen, serves an Arctic-Asian fusion menu unique to Svalbard. As a last stop before the North Pole and a former Arctic outpost, Svalbard is today home to about 2650 people, of which most live in Longyearbyen, the administration centre of the archipelago. 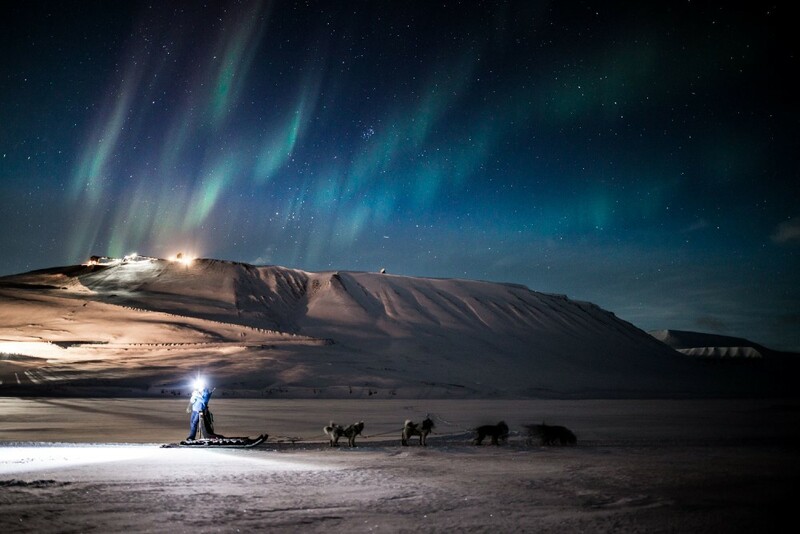 Hurtigruten Svalbard offers accommodation, restaurants and unprecedented experiences in the wild. The adventure travel expert is a full-service provider of unique experiences, accommodation and dining, ranging from experiencing panoramic views from snow-covered glaciers, the sunset over soaring peaks, dog sledding, kayak paddling, hiking, ice-caving, skiing expeditions and more. Hurtigruten’s rapidly growing fleet of custom-build expedition ships takes modern-day adventure travellers to the world’s most spectacular destinations on our Planet - from the High North to Antarctica in the south. Being the world leader in exploration travel comes with a great responsibility. Hurtigruten is enhancing destinations and runs an responsible, sustainable global operation. Read more about Hurtigruten's sustainability efforts here.